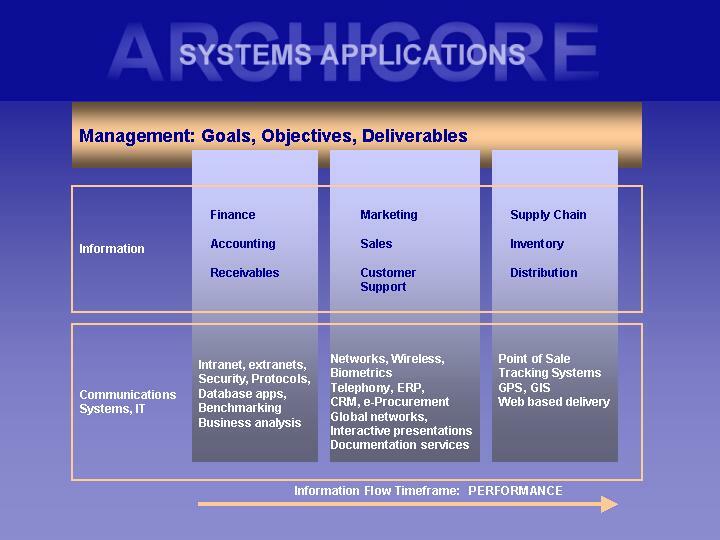 Information management supports project management in the AEC industry. These project deliverables are produced under Customer Support in this business model, with benchmarking used to track performance. Project information has tremendous value over an entire life cycle of a structure, and requires very high-level management of the information as it moves through the phases from design to construction and then throughout the life of the building as it manages energy and water consumption through the owner's facility manager. A discussion about the potential management portal issue focuses on the communication and coordination issues that these big databases create. The construction industry is moving ahead by leaps and bounds with new digital technologies and ways of managing building information databases. The rationale for the development of Integrated Project Delivery (IPD) for clients and professionals is that the project is much more efficient and better coordinated with a united team that isn't concerned about mutual litigation. It's important to develop constructive systems and ways of achieving results that don't end in a lot of conflict and wasted time and energy, which unfortunately the older project delivery systems were prone to. There's many ways to handle the traditional architectural project delivery. IPD is evolving now, and owners are beginning to take more control of the entire process and its team. Today's larger and more complex projects can't afford to bog down in antiquated supply chains and lack of communication.